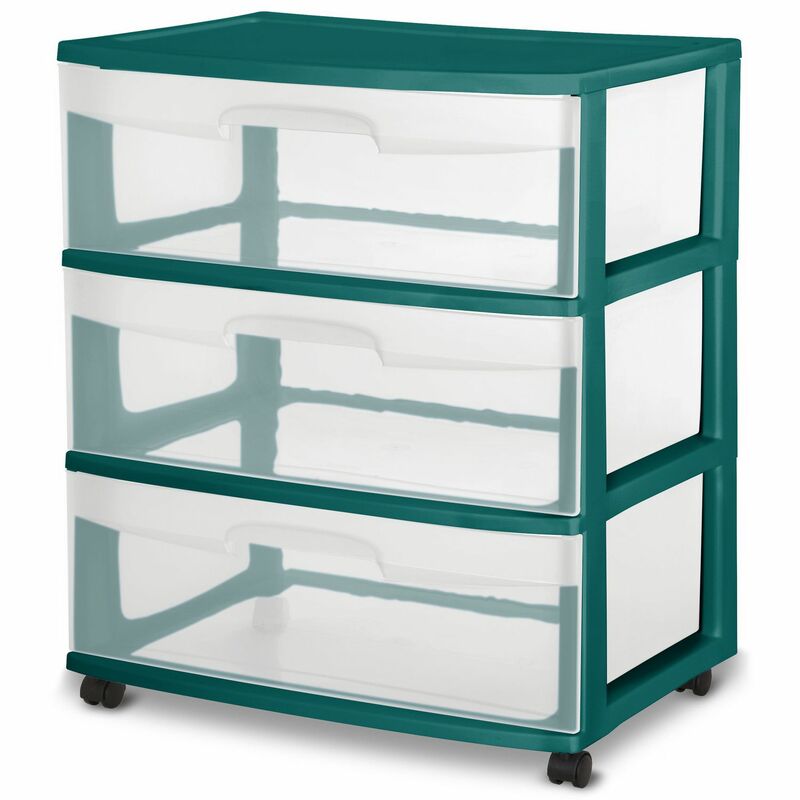 The 3 Drawer Wide Cart features three wide, see-through drawers that allow for easy identification of contents. This cart is ideal for organizing clothing and linens in the bedroom and bathroom. Casters are included to create a rolling storage option. • See-through drawers allow for easy identification of contents. • Ergonomic handles for easy opening and closing of drawers.